Have you always been confused about what LTL Freight Means in shipping? Read on because this comprehensive guide explains to you what it the LTL acronym stands for, what it is in practice, how to classify an LTL shipment, how LTL shipping saves you money, the advantages and disadvantages of the LTL system, and so much more! In a nutshell, it means a shipment that does not require a full 48- or 53-foot trailer. But let’s look at what this looks like in detail. To find out what does LTL stand for in trucking, or what does LTL stand for in the transportation industry, we need to break down the LTL acronym. So, what is LTL freight? It’s Less (than a) Truck Load of freight. This is in comparison to FTL, which is a Full Truck Load, equivalent to a 48- or 53-foot trailer. TL carrier moves freight for several different customers using one truck. This works out cheaper for each customer because more deliveries can be carried out by the hauler. When shipping via LTL, you gain access to a variety of services such as special handling, liftgates, refrigeration, and regular updates about the goods on transit. You can also request delivery to limited access areas such as construction sites, rural sites, and camping grounds. These services are usually not available with other shipping methods and when they are, they cost more. LTL shipping offers the economical option of sharing the cost of hiring the entire truck with other customers. By minimizing the trucks on the roads, LTL shipping also minimizes the percentage of emissions made into the ecosystem which makes it eco-friendly. With LTL, multiple shipments from several customers have to be combined for the goods to finally get on the road. Long-distance deliveries might also have to be moved from one truck to another via a transfer terminal. These aspects about LTL could possibly lead to delays. The multiple handling of goods that comes with this shipment method means that it might not be ideal for transporting fragile goods. Multiple handling increases the chances of damage to the goods in transit. It is very important that the shipping dock invests in a proper scale, so that the freight’s final weight can be recorded on the BOL and a weight receipt printed for each skid or piece of a shipment in case of a Shipment Inspection. If a carrier corrects a weight because you or someone made a mistake on the paperwork, honest mistake or not, you can be disproportionately penalized. If you are a distributor buying from a manufacturer, insist that your vendor or supplier have as scale and weigh you freight and memorialize that process with pictures of the scale with skid on in with the reading clearly visible. This is the ONLY way to counter the current trend of LTL carriers to add dramatic upcharges to shipments based on Bills of Lading that have false weights on them. How much space that weight takes up on the truck matters also (i.e. volume). A carrier will have to charge more for a load of feathers, class 500, on a per pound basis, than a load of lead at class 50. Usually the higher classes 150 to 500 are less dense, taking up more space on the truck, and thus subject to a higher class and higher dollar per pound rate. Density is the total weight divided by cubic feet. If the shipment has been packed into a pallet, its dimensions and weight are all considered in the calculation of its density. Most NMFC – that is National Motor Freight Classification system product codes – are density based. A dense material such as lead will be charged a lower rate expressed in dollar per pound than a material like pillow foam. The freight class is usually determined by certain characteristics of freight primary among them as mentioned, density, and then liability around that product, and then how easy the shipper has made it to handle and transfer the product from truck to truck. The classes have codes assigned to them (which must be entered the freight bill or Bill of Lading of the carrier that you want to use. For definitions of Bill of Lading (BOL) and other shipping terms check our shipping dictionary. There is a total of 18 classes. Lower classes comprise of very dense freight and the higher classes represent the lighter freight. It will cost more to transport freight from the higher classes because lighter freight occupies more space and is usually more difficult to handle. This is basically the charge below which the freight carrier won’t go regardless of other factors such as the weight of the shipment and how the discounts have been negotiated. The minimum charge ensures that the carrier can meet the minimum cost of each and every shipment. A longer distance usually translates into a larger freight cost. The explanation behind this is simple; a freight truck will consume more fuel when traveling for a long distance and utilize more of their terminals. Local carriers might also have to subcontract other regional carrier companies when the distance involved exceeds their coverage area. These are extra charges for the special services that might be needed by a shipment. These include charges for liftgate, palletizing, inside delivery, transport to limited access areas, weekend deliveries, etc. It is important that you be explicit about these when filling out your bill of lading so that your carrier can then charge you more for that. If you leave them out, they will be brought up later in the backend and cost you more. Booking your preferred carrier via FreightRun, enables you to select the different accessorial arrangements ahead of time, using a user friendly freight quote form. Give us a shot! Maximize the density of your freight - the more trailer space you take up, the more you are going to pay. It’s because LTL companies make their money by shipping as much as they can in one truck. Consolidation of shipments - Shipping one consolidated shipment is usually cheaper than shipping many small shipments individually. Take note of the transit times - time is usually a very important aspect when it comes to saving you money. Although shipping timelines with LTL common carriers are never guaranteed due to factors such as weather and other unexpected events, looking at the timelines of the carrier you have in mind could be very helpful. Typically, deliveries beyond regional borders take 4-6 business days to reach their destination while those that are within the same region do not take 2-3 1-2 business days. LTL shipping operates using central hubs and local terminals. Local freight from various shippers is gathered at the terminals and combined into outbound trailers. The goods then head to the central hub to be sorted and delivered or consolidated for further transportation. What is the meaning of interlining? Interlining is a common term in LTL shipping. So, what does it mean? LTL freight companies may sometimes have to partner with another carrier for shipments that extend their coverage area. This is what we call interlining. Why is it not possible to lower my freight class? As much as you want a lower class for a lower freight cost, it might not be possible at times. This can be due to many factors such as the fact that your goods are bulky, incompressible, or the fact that the goods have a higher risk of damage while in transit. What happens if I wrongly estimate the freight class of my shipment? If you had estimated the class wrongly and had been undercharged as a result, the carrier will correct the errors, issue an Inspection Certificate, and charge you a lot of money. Best to avoid this. When do I need to request an inside delivery? 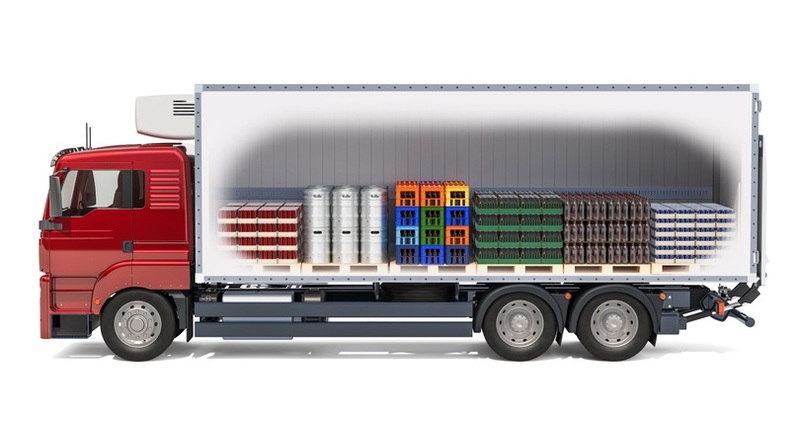 An inside delivery is needed when the driver of the truck needs to go beyond the Loading or unloading dock when either picking up or offloading your shipment. Why An Efficient LTL Shipping Process Is Critical.